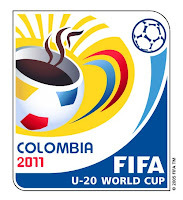 Posted in Senza categoria and tagged nazionale under 20 on luglio 23, 2011 by calciocorea. Tratto da Dai Ridolini al pianto di Jong. 55 anni di calcio nella Repubblica Democratica Popolare di Corea, libro di prossima uscita. Posted in Senza categoria and tagged storia, pak doo ik on luglio 19, 2011 by calciocorea. Esordio in campionato per Pak Kwang Ryong nel pareggio 1-1 tra il suo Basilea e gli Young Boys, nella prima giornata dell'Axpo Super League, la prima divisione svizzera. Pak è entrato all'86esimo al posto di Yapi. Stade de Suisse. – 31‘120 Zuschauer (ausverkauft). – SR Stephan Studer (Grand-Lucy). Tore: 50. Zoua 0:1 (Frei). 56. Mayuka 1:1 (Degen). Young Boys: Wölfli; Sutter, Nef, Veskovac, Spycher; Degen, Silberbauer, Farnerud, Nuzzolo (59. Costanzo); Ben Khalifa (85. Doubai), Mayuka. FC Basel: Sommer; Steinhöfer, Kovac, Dragovic, Voser; Tembo (62. Shaqiri), Huggel, Yapi (86. Pak), Zoua (78. Fabian Frei); Alex Frei, Streller. Bemerkungen: YB ohne Schneuwly (gesperrt), Bienvenu, Lecjaks, Lingani (alle verletzt), Mveng, Alioski, Tosetti, Mvogo (U21). FCB ohne Park, Chippferfield, Stocker, Kusunga und Granit Xhaka (alle verletzt). – Verwarnungen: 29. Nef (Foul). 65. Voser (Foul). 75. Dragovic (Foul). – Pfostenschuss Farnerud (17.). Posted in Senza categoria and tagged pak kwang ryong on luglio 16, 2011 by calciocorea. GUARDA LE PARTITE STORICHE DEL CALCIO COREANO! Posted in Senza categoria and tagged storia on luglio 15, 2011 by calciocorea. La rete di Pak Kwang-Ryong al 53esimo apre le danze della sfida decisiva nella Uhrencup tra Basel FC e West Ham United. Il coreano ha realizzato con un colpo di testa, dopo un cross dalla sinistra di Paiva. La partita è decisa da un rigore di Yapi all'ultimo minuto. Im Brühl, Grenchen. – 3000 Zuschauer. – SR Cyril Zimmermann (Münsingen). Tore: 53. Pak 1:0 (Paiva). 75. Stanislas 1:1 (Foulpenalty). 91. Yapi 2:1 (Foulpenalty). FC Basel: Colomba (46. Herzog); Taulant Xhaka, Abraham, Ajeti, Voser (80. Buess); Shaqiri (65. Schürpf), Cabral, Granit Xhaka (76. Yapi), Wieser (46. Luan Paiva); Fabian Frei, Pak. West Ham: Stech; Spence (46. Faubert), Tomkins, Reid (46. Faye; 80. Cole), Ilunga (60. Brown); Sears (46. Montano), O’Brien (46. Boa Morte), Nolan (46. Lee), Stanislas; Hall, Piquionne. Bemerkungen: FCB ohne Chipperfield, Stocker und Kusunga (alle verletzt). – Verwarnung: 16. O’Brien (Foul). Posted in Senza categoria and tagged pak kwang ryong on luglio 14, 2011 by calciocorea. Tutti i match si giocano a Jinan, Shandong, Cina. qualificate le prime due del girone. Posted in Senza categoria and tagged nazionale femminile, nazionale olimpica, torne preolimpico on luglio 11, 2011 by calciocorea. Sono Kim Myong-Won, attaccante, e Sin Chol-Jin, difensore, i due coreani che hanno firmato per la nuova squadra mongola dell'Ulaanbataar FC. La squadra della capitale mongola nasce con grandi prospettive di sviluppo e punta a diventare una delle più importanti squadre asiatiche. Posted in Senza categoria and tagged sin chol jin, kim myong won on luglio 10, 2011 by calciocorea. Pareggio a reti bianche nell'ultima sfida del girone C dei Mondiali femminili. Thirty-three shots were registered in Bochum, but not one managed to ripple the back of the net, meaning Korea DPR and Colombia will return home from the FIFA Women's World Cup Germany 2011™ having failed to score. The North Koreans can at least take atomic consolation from the fact they finished Group C second-bottom, above their opponents due to a marginally superior goal difference. Colombia took the game to their opponents from the outset, with Orianica Velasquez atttempting three shots in the opening six minutes, all of which came to nothing. Yulieht Dominguez was next to try her luck for the South Americans, but her goal-bound strike was admirably pushed out for a corner by the stretching Hong Myong Hui. Korea DPR's first chance came on 19 minutes when they won a free-kick in a dangerous position, but Ho Un Byol's effort went comfortably over the bar. It did spark the Asians into life, however, and they dominated possession thereafter, albeit without threatening to break the deadlock. That was until they had a glaring opportunity seven minutes before half-time. Kim Un Ju skipped past two adversaries and teed up Jo Yun Mi, but the captain somehow dragged her shot wide. The last chance of the period fell to Colombia, though, with Velasquez's fizzing drive flashing narrowly wide of Hong's right-hand post. The same player had the first effort following the restart, but it failed to trouble to Korea DPR No1, who did well to sprint from her line and deny Daniela Montoya a run on goal on 62 minutes. The Colombians looked hungry, and Velasquez's piledriver from distance forced Hong into a smart catch. A number of wayward shots ensued before Korea DPR missed two great chances to take the lead in the closing minutes. First, Jo's effort was masterfully saved by Sandra Sepulveda, before the No10 flashed her header wide from Ri Ye Gyong's fine cross. The lively Velasquez had the final two shots of the contest, but both went wide. Soon after, the final whistle sounded to confirm a result which pleased neither team. Posted in Senza categoria and tagged nazionale femminile, mondiali femminili 2011 on luglio 6, 2011 by calciocorea. Bochum: DPR Korea will be playing for pride when they meet Colombia in their final group game of the FIFA Women's World Cup on Wednesday. The East Asians have already crashed out of the tournament following defeats at the hands of USA (2-0) and Sweden (1-0). The eighth-ranked Koreans have had a disappointing tournament after reaching the quarter-finals for the first time four years ago, and also want a result in their first meeting with the 31st-ranked Colombians. Korean coach Kim Kwang Min had initially blamed the effects of being struck by lightning at a pre-tournament training camp on his players' failure to win. "This team is very young and they are inexperienced in such a competition as this," said the Korean coach. "However, this World Cup will have taught them a lot of lessons. In four years time they will be stronger." The United States and Sweden are already through to the quarter-finals unbeaten. The USA beat Colombia 3-0 and North Korea 2-0 as Sweden squeezed past the same teams with 1-0 wins. They play each other for top spot group supremacy in Wolfsburg on Wednesday. Posted in Senza categoria and tagged nazionale femminile, mondiali femminili 2011 on luglio 5, 2011 by calciocorea.